The Idaho Legislature is going strong, with almost 300 bills moving through committees. 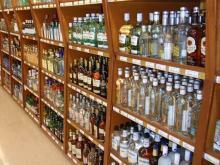 They cover a wide variety of topics, from public education funding to marijuana laws, to liquor license requirements. The head of Idaho's liquor division says state liquor stores had about $10 million in additional sales from Washington customers last year. The Spokesman-Review reports Jeff Anderson told lawmakers that the bump was not so much because the stores sold more bottles statewide, but because northern Idaho stores saw an increase in sales of higher-priced premium liquor products. 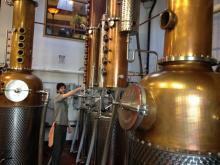 A Hood River distillery has the top selling brand of liquor according to sales numbers released by the state of Oregon. But other craft distillers say those hot numbers don’t reflect their experience. The Washington State Patrol has compiled a full year of data covering drunk driving arrests and crashes since private retailers took over liquor sales in the state. Over the weekend, the state of Washington marked the one year anniversary of grocers, big box stores and other private retailers being able to sell liquor in Washington state. The voter approved privatization initiative has sent prices unexpectedly higher, and led to significant increases in sales at Idaho stores near the Washington border. In Washington, government is collecting more tax revenue than anticipated.